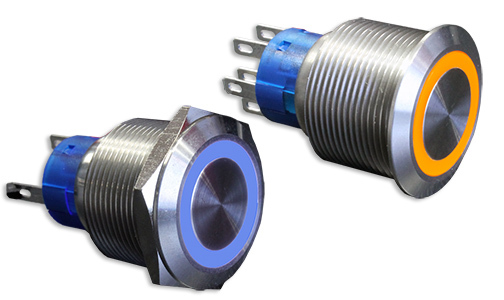 The DH22U Series push button switch is our UL approved version of the DH Series. Currently only available as a 22mm switch, the DH22U is IP65 vandal and splash resistant. Available in both momentary and latching with a flush ring illuminated actuator, the DH22U has body finish options of stainless steel or black anodized aluminum. LED voltage ranges from 6VDC to 220VAC. 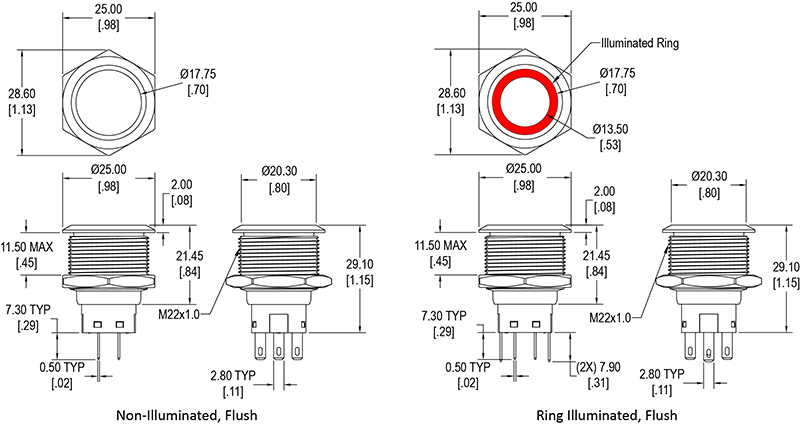 LED options for this anti-vandal switch are red, yellow, green, blue and white.